This is a guest post from The National Children’s Cancer Society. As Jennifer Toth walked into the oncology unit for her first clinical rotation at the Children’s Hospital of Philadelphia, she knew her journey had come full circle. Glancing down at her hospital ID badge as a student nurse and outfitted in her scrubs, she knew this would be her dream nursing job. And now, she has it. 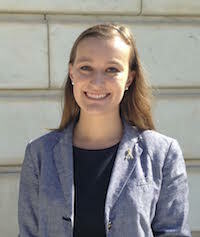 Jennifer recently accepted her position in pediatric oncology at the Children’s Hospital of Philadelphia – the very same medical facility where she received treatment to battle hepatoblastoma when she was two years old. Jennifer received the NCCS’ Beyond the Cure scholarship every year she was in school. 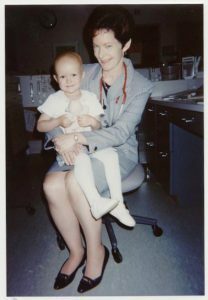 It enabled her to find the work she loves – providing the next generation of pediatric oncology patients with the same devotion and compassion she received from her medical team. Do you know a child with cancer? Do you know the impact it has on their lives and the lives of their family members? Not everyone has a story like Jennifer’s, but we can all play a part in trying to help families facing such a difficult challenge in their lives. Donate to a non-profit that provides support and valuable resources to families facing the daunting world of childhood cancer. When a family learns their child has cancer, it can be emotionally and financially devastating. Their focus is getting their child the treatment that will give them the best shot of survival. A non-profit like The National Children’s Cancer Society, spends every day putting the needs of families and their children first. Whether that be helping ensure they can get to the treatment center where the best care is available, understanding the many issues that accompany survivorship or simply being there as a source of hope and compassion. Provide meals or recipes for families that might not have time or resources to prepare meals. If you know a family in your community has a child with cancer, dropping off a meal at their house can help save them time on cooking and let them know you are thinking of them. If you do not personally know any families facing childhood cancer and would like to help, contact your local hospital and/or lodging facilities for families with children in town for treatment, to inquire about providing meals or supplies to patients’ families. Help with day-to-day errands to provide a sense of normalcy. Activities that you can volunteer to do for a family include; buying groceries, picking up prescriptions, going to the post office or offering to drive the family to and from the hospital. These everyday tasks will provide more time for the family to spend together and alleviate everyday stress on top of stressful situations. Offer to be a note-taker during appointments and doctor’s visits. Appointments related to childhood cancer can involve an overwhelming amount of information and can be very emotional for families, so it can help to have a designated note-taker who can focus on getting information from the doctor for later reference. Demonstrate interest in what the family is going through. Expressing a willingness to understand the day-to-day struggles of childhood cancer can help families feel that they do not have to face their journey alone. Whether that’s taking the time to talk to parents from a family you know about how you can help, or seeking out volunteer opportunities to assist families in your community, actions that demonstrate a genuine interest in understanding can make a big difference. 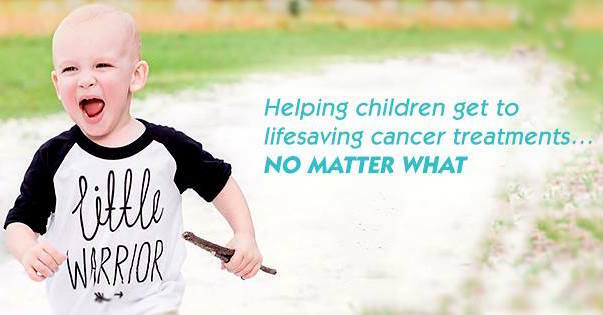 The National Children’s Cancer Society (NCCS), headquartered in St. Louis, Missouri, is a not-for-profit organization providing support to families making their way through the daunting world of childhood cancer and survivorship. With over 30 years of experience serving nearly 42,000 children, the NCCS is able to take a “no matter what” approach to help families stay strong, stay positive and stay together. The NCCS has been recognized as a Better Business Bureau Accredited Charity and earned a Platinum GuideStar Seal of Transparency. For more information call 314-241-1600, visit theNCCS.org, or on Facebook and Twitter. To donate to the NCCS, please visit thenccs.org/donate. « Cyber Bullying: What is it and what can we do about it?